Quantify the fecundity of the SHARP focal species (Saltmarsh, Nelson’s, and Seaside Sparrows, Willets, and Clapper Rails). 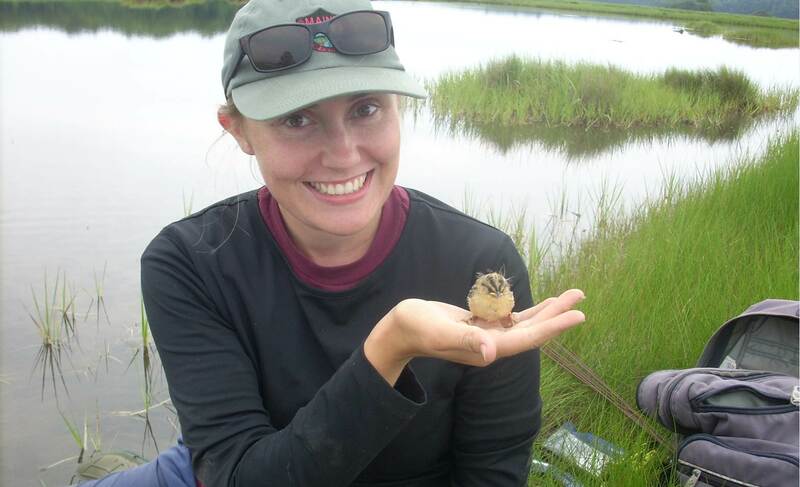 For Saltmarsh Sparrows, I will quantify their fecundity across its global range and examine how it varies through space in relation to environmental variables such as latitude and marsh size. Use calculated failure probabilities and fecundity estimates across the Saltmarsh Sparrow global range to model the predicted response of their fecundity to projections of climate change. 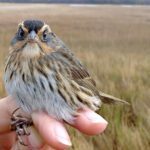 Specifically, I’ll look at the effects of increased storm surges and subsequent failure probabilities due to flooding on Saltmarsh Sparrow populations. 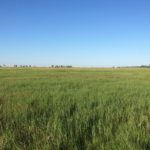 Examine Saltmarsh and Nelson’s Sparrows for predicted adaptations to stochastic environments like tidal marshes, such as plastic responses and bet-hedging strategies. I’ll measure various life history traits for that relate to reproduction, such as renesting rate, breeding season length, and clutch size to detect strategies adapted to stochastic environments and their impacts on fecundity. Further examine nesting and renesting preferences for Saltmarsh and Nelson’s Sparrows as adaptations to stochastic environments. I’ll track individual females across multiple breeding attempts to investigate individual preference in nesting sites and nest-related reproductive traits and if these traits predict individual fecundity. Quantify the impacts of mercury, a chemical contaminant found in high concentrations in urban tidal wetlands, on Saltmarsh Sparrow fecundity in an ecological and evolutionary framework. I will model the effects of mercury on Saltmarsh Sparrow fecundity at a population level across its global range to identify areas of high conservation priority for wildlife managers, and examine the relationship between mercury and fecundity on an individual scale for an adaptive response to contaminants.